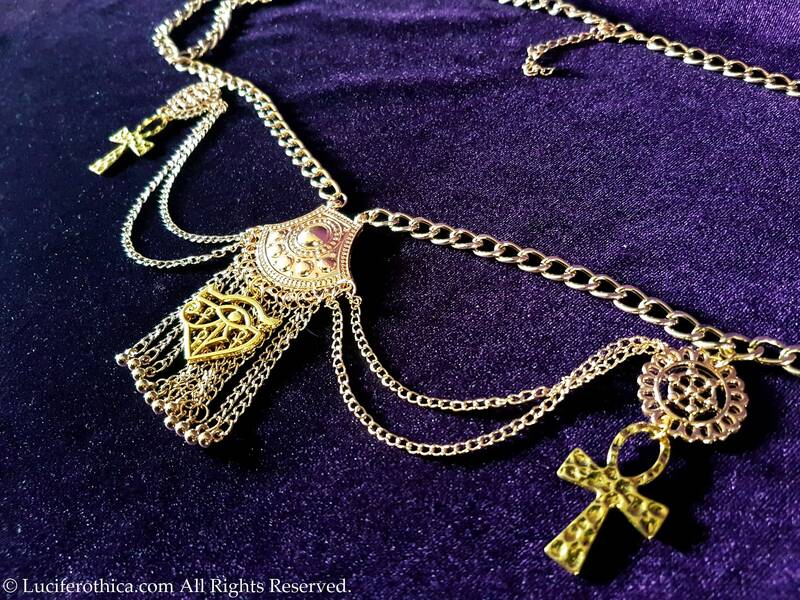 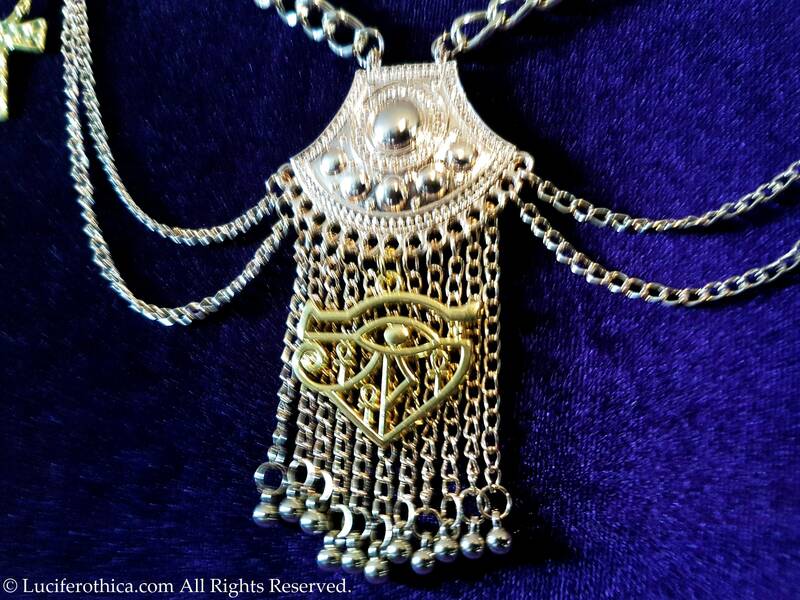 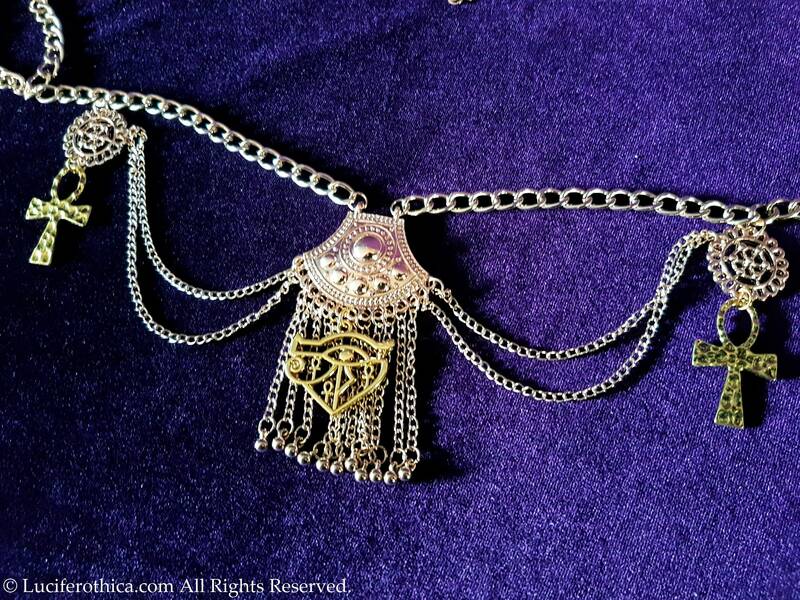 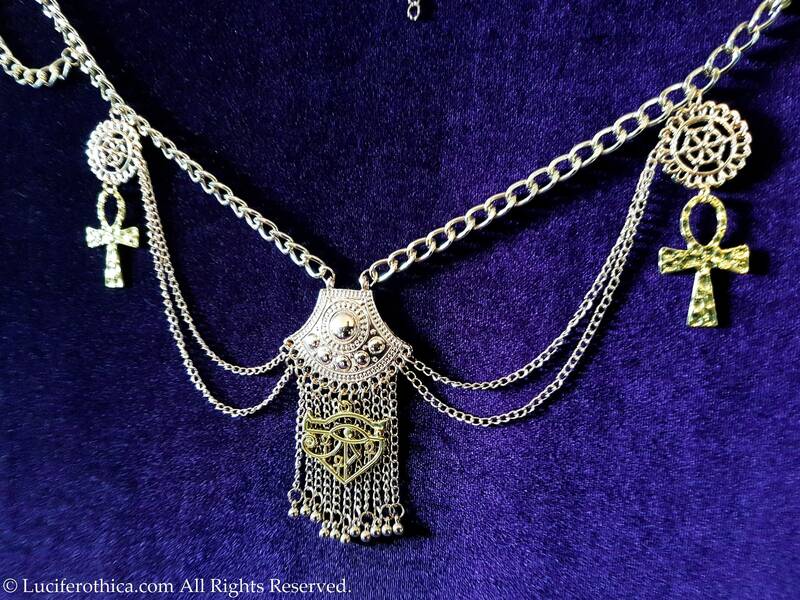 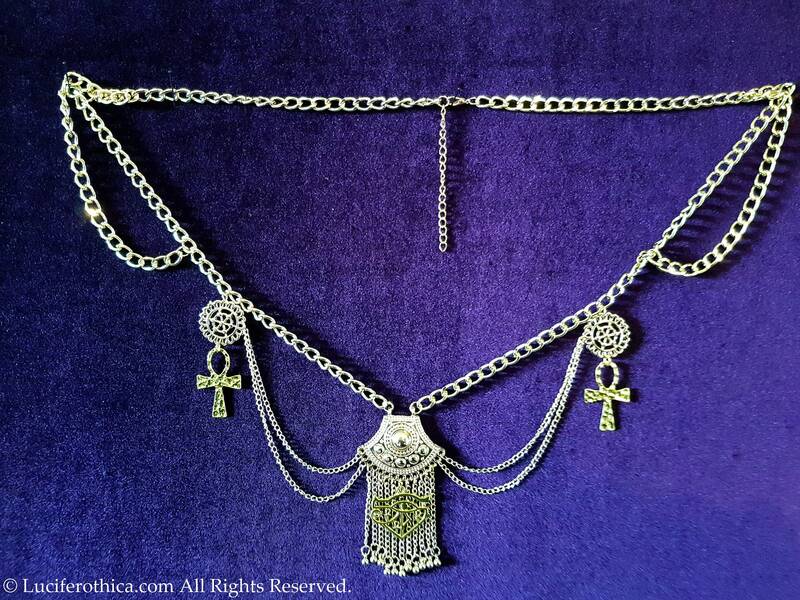 Egyptian Priestess Hip Chain Belt. 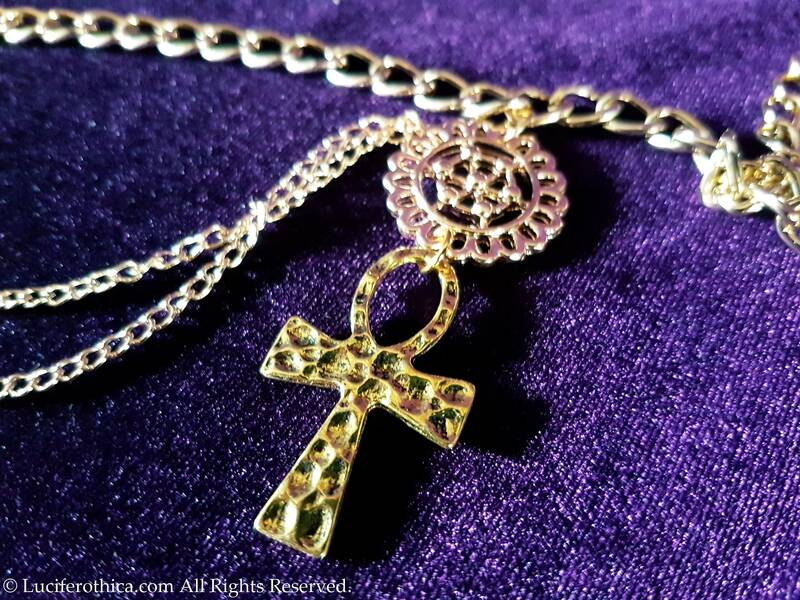 - 2 Ankh symbols. 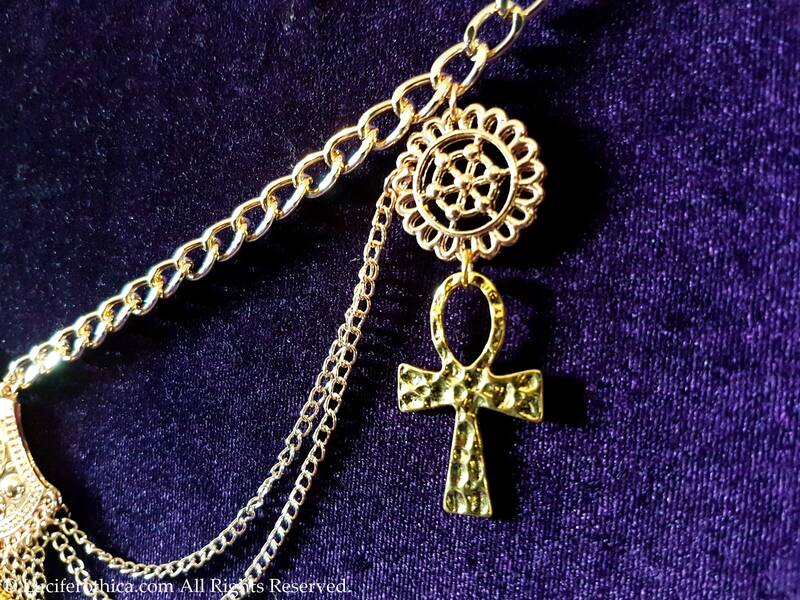 3.5cmx2cm and 2 9-point wheel flowers. 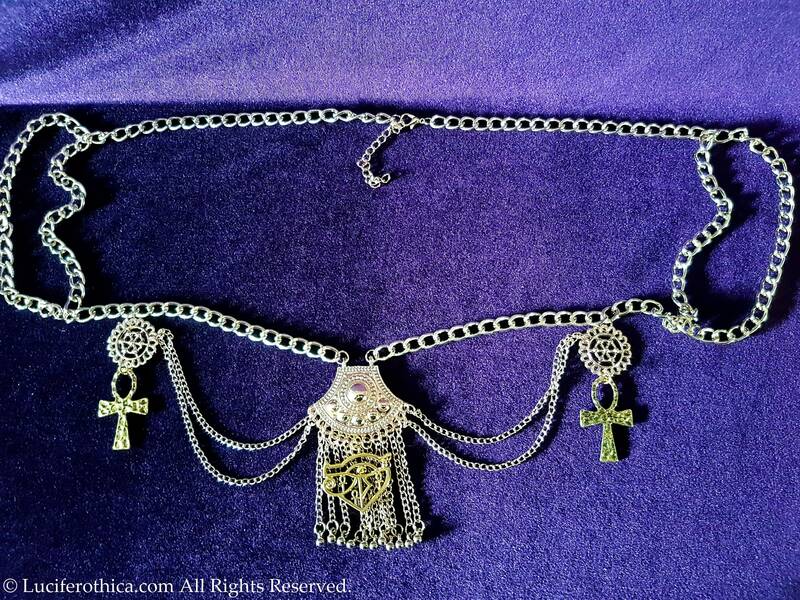 Minimum lenght: 84cm + 5cm extension chain.